Color flag of Faroe Islands. 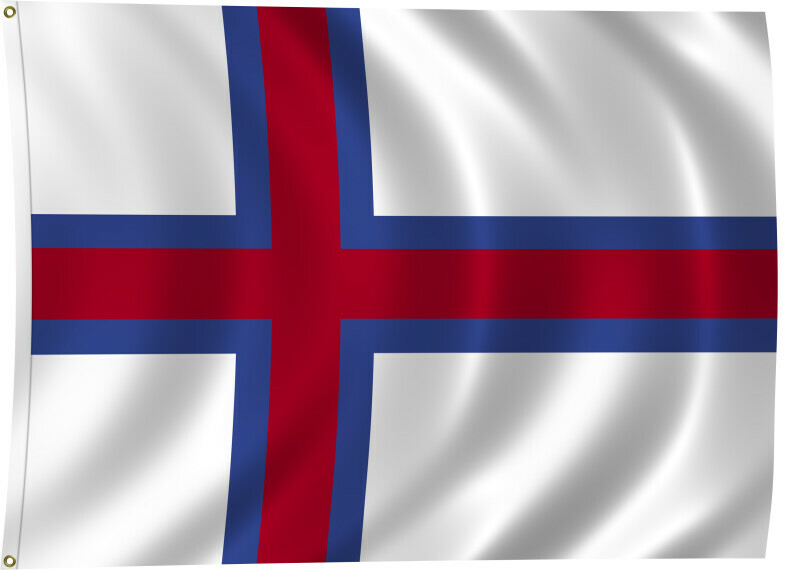 White with a red cross outlined in blue extending to the edges of the flag; the vertical part of the cross is shifted toward the hoist side in the style of the Dannebrog (Danish flag). Flat color and black/white versions of world flags are available on the Clipart ETC website.